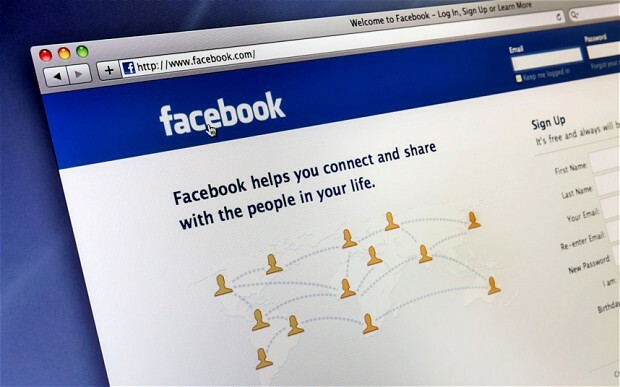 The Facebook Hiatus | FanGirl. SuperHero. The husband and I have been binge watching Comedians in Cars Getting Coffee and the Tina Fey episode was on. I’m in awe of Tina Fey. I don’t know how she has accomplished what she has while also somehow living with two small kids. I can’t even type this sentence with both hands because my 6 year old is currently hanging off my right arm, crying about his turn on the Xbox, and wiping his snot on my shirt. The main take-away from that episode, though, Tina Fey doesn’t use social media. I do. A lot. I’m going to assume that this is the only reason I am not as accomplished, and smart, and funny, and driven as Tina Fey. It’s the internet’s fault. I don’t know if you’ve clued into the fact that I’m obsessed with the internet. I have been for years and years and years. It’s been a problem since high school and I graduated in 1994, so like, 7 years ago or something like that. My high school years were THE years that the internet started to take hold. 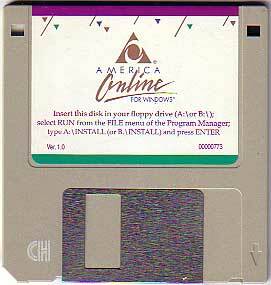 It was real underground at the time and they charged you by the hour so we took the internet SERIOUSLY. But my fascination with the internet has always been more specifically, on the social media wing of the mansion. I think it started a million years ago with Prodigy, the online service provider that read all your emails, not to be confused with the guy with two mohawks, but I might also trust him to read my emails. You know what? Anyone really can sign up for the job to be my email reader and email replier. Maybe then I can realistically pretend that I contribute to society. Prodigy was amazing! There was nothing like it! I was OBSESSED with the Prodigy bulletin boards, most specifically, the Kids in the Hall bulletin boards. My moniker was Mr. Sizzler, or something. Side note: I met two really amazing people on Prodigy and formed a comedy troupe with them, even though we lived thousands of miles away from each other. We wrote sketches via private Prodigy messages and emails, flew to each other and filmed sketches in snowstorms, and eventually we sent our best three sketches to MTV and Comedy Central which ended in us thisclose to being hired on as writers for a new comedy show for kids on Nickelodeon. We were Serious Artists so we said no. Ha! sigh, there went my beach house. 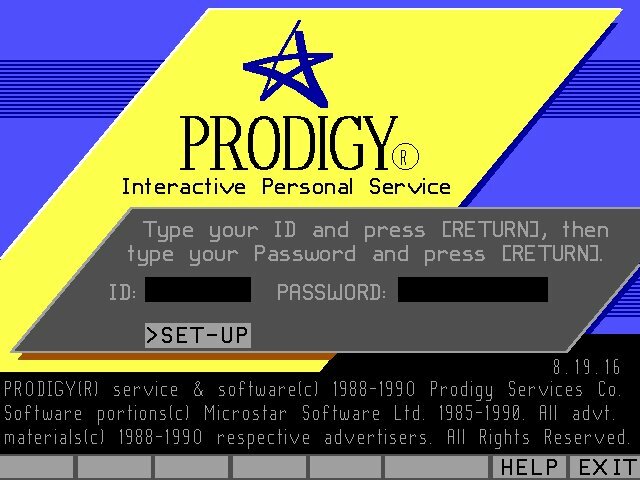 In the early 90’s, it was all about Prodigy. And then it wasn’t because everyone started jumping ship and going to AOL. So naturally, I too went to AOL because I need my internet attention! All my online buddies were there!!!!! And we chatted and we danced. (we didn’t dance) And it was magical and wonderful. I stayed up ALL. NIGHT. LONG. chattin’ up people. But this time it became weezer chat rooms. I don’t even know what we chatted about but there was none of this looking stuff up on google crap. Google didn’t exist. You kind of had to know the web address, the whole http:// thing to get any info on the World Wide Web. So you’d talk to people that called themselves “paperface” who claimed to “bake cookies for the boys” (codeword weezer) and that’s how you got your info. Because you were talking to people who KNEW weezer. Nobody lies on the internet. And then I moved from Denver to Los Angeles without a computer and the internet was ripped from my life. And for years I didn’t even care about it. And I wrote and wrote and wrote and wrote. I wrote poems and stories and plays! It was the most productive I’ve ever been in my life. It was probably about 6 years before I got back online and the internet had me in its hold again. I thought MySpace was the coolest thing EVER. I had my own webpage. Holy crap! I didn’t have to search for people, they could search for me. I became like the queen of the internet in my mind. And then people stopped coming by my page because facebook officially arrived. I already had a facebook but I never used it because the only other person I knew on there was my sister-in-law who was in college at the time and I wasn’t in college anymore, I was like a 30 year old woman or something so no one wanted anything to do with me on the facebook and I didn’t want anything to do with them. And then a couple of years later, everybody flocked to facebook, so I adapted because, don’t leave me, guys. Now I tweet. I tumblr. I pinterest. I instagram. And then there’s facebook. I hate facebook. The internet for me has gone from always being fun times and meeting cool people that I think longingly about with a smile on my face to wanting to punch a handful of people I know in real life in the head. Making mental burn lists used to take up a great deal of my time and emotional space. Politics was finally the thing that helped me slowly back away from most of my facebook feed. My life vastly improved. I’m not inexplicably angry at someone I met at work 15 years ago because of her rants about chemtrails. I’m free from that baggage. I’m not totally gone, though. Something will pop into my head that I think is kind of funny and up it goes to facebook ’cause that’s the only place people pay attention to me anymore, and there I am. Back in the fray. Every like and funny comment drags me back in like a sparkly vampire. So here’s the thing. I’m not trying to make any promises because we both know me. But I think I’m going to attempt to stay off facebook for like, a couple of weeks or so. Because I need to write. I have like 7 novels rattling around my head. All my dumb status updates will come here to my blog. Maybe I’ll actually get a lot more done if I’m not all caught up in the other nonsense. It’s completely terrifying at the same time because people will forget me! Won’t they? Whatever, a lot of the great people I know and want to keep up with either aren’t going anywhere, or aren’t even on facebook anymore anyway. They’re on Instagram. I’m bad at Instagram, too. I’m not a great photographer and I can’t tell my dumb jokes in the medium they require. I’m not an instagram influencer. And the feed is all over the place! but I’ll try to keep up. Alright, I’ll focus it all here, on my blog. Think of this as myspace. Come visit my page! Look at my glitter gifs! Leave me a comment! I promise I won’t make you listen to music as my blog pulls up. i love that your goodbye to facebook is on facebook. 👀 but you inspire me! i’ve been trying to write at least a little a day! i want you to write more cause i want to read it!! you make me giggle and i think you’re brilliant!! Aw this is sweet. Thank you!